Providing a path to informed consent is the key to better case acceptance amongst pet / animal owners. 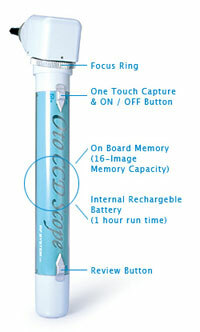 The wireless Video Otoscope ME-16 increases owners understanding of their animals condition. 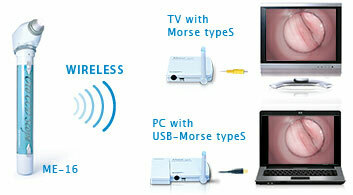 The wireless feature provides super portability, as you can carry the camera around and diagnose patients anywhere. Nothing is more effective than a SHOW and TELL presentation right on the spot! The ME16-VET wireless video otoscope assists you and your patients owners to realize clarity and practicality in your daily practice. Helping to visualize a medical condition provides a more thorough understanding, and creates a feeling of comfort for your patients owners. 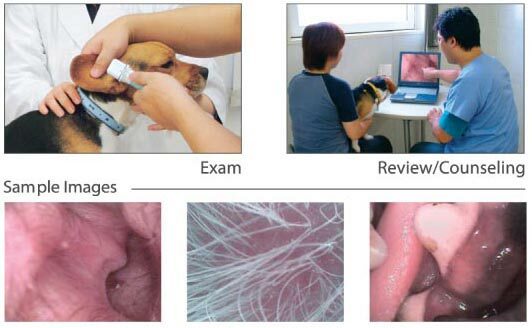 Even during the examination of a n animal, a parent can watch the animal's condition with the doctor. It leads to trust in a doctor's diagnosis and treatment plans. The ME16-VET works with your existing display device such as TV / computer screen by using RFSYSTEMlab's wireless video receiver Morse (for TV / monitors) or USB-Morse (for computers). The displayed images can also be imported and saved into your imaging software (or patients' files). Do your words of expalanation reach your patients owners during your examination? Although they will not always admit it, most clients cannot fully understand your diagnostic by your explanation alone . Using a traditional otoscope, you might be able to see what you need, but your clients will never really know what you see. Sharing images and videos with patients owners becomes the key to true informed consent. *Specula : different sizes can be exchanged for various uses. Diameters 4mm / 5mm / 7mm / 9mm are available /> * Welch Allyn specula can also be used.